If your employees think training means nothing more than free donuts and time away from work, then it won’t be effective. Do you feel like your employees aren’t getting much out of safety training you set up for them? Are they just going through the motions when it comes to fulfilling mandatory training requirements? 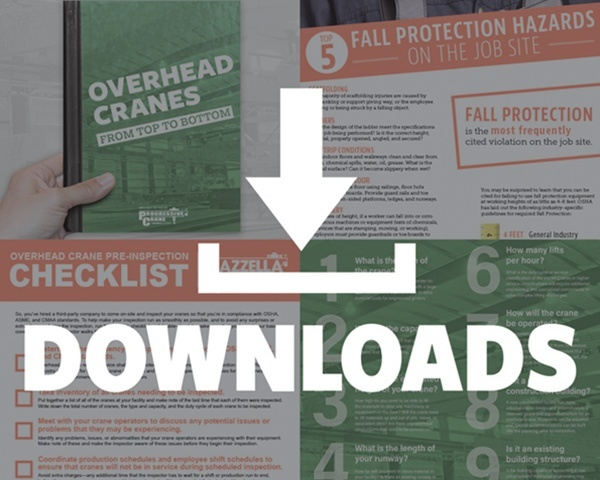 At Mazzella Companies, we believe that proper training is the best way to ensure that your lifting and rigging program is in compliance with industry requirements, and to help protect your employees against potentially dangerous lifts. 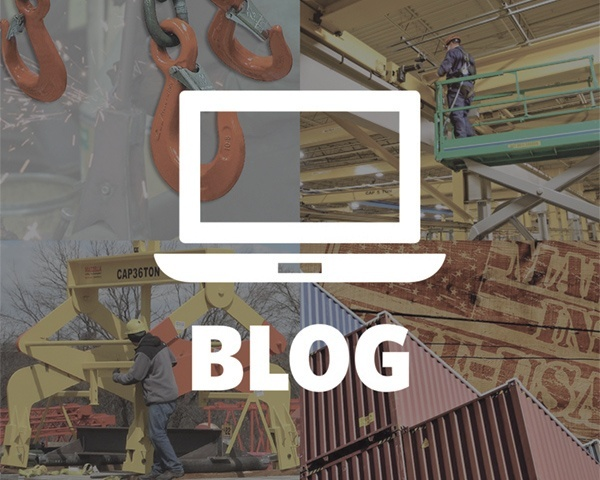 We hope the information in this article will help make your next lifting and rigging training more impactful and more effective for your employees. Who Should Attend Lifting and Rigging Training? The simple answer is anyone that will be using any lifting or rigging equipment should participate in a lifting and rigging training program. Obviously, newer employees should attend the training so they can develop good habits and understand the right way and the wrong way to rig and lift a load. But, it also goes further than this. In our experience, there are often certain segments of a company that do not attend training, who quite frankly should. All of our training professionals train to the latest OSHA/ASME standards. There have been many occasions when we are training safe lifting and rigging practices and someone in the class says, “We don’t do that” or “That won’t work with what we do here.” If someone from management isn’t there to address these concerns, it can create hostility that will inhibit learning. Even more importantly, management should be aware of and address any gaps between the standard requirements and the actual practice being performed in the field. Another group that is often left out of lifting and rigging training are the tenured employees who have been using lifting and rigging equipment for many years. These employees are often the most helpful or the most dangerous when it comes to lifting and rigging best practices. Having these individuals attend training courses is often invaluable to the new or less experienced employees. The seasoned riggers can share past anecdotes or experiences about near misses and accidents when safe rigging practices weren’t followed. This not only helps a less experienced employee, but it also supports and lends credibility to what’s being taught. It’s also important for the veteran riggers to attend training because over time they may have developed bad habits, or convinced themselves there’s the “book way” and the “real” way to rig a load. By attending training sessions, they may realize they've been doing things the wrong way and setting a bad example for co-workers who look up to them. Finally, there are veteran users of lifting and rigging equipment that don’t know about a rigging practice as it relates to the standard, but hide that fact because they are looked at as the expert in their company. 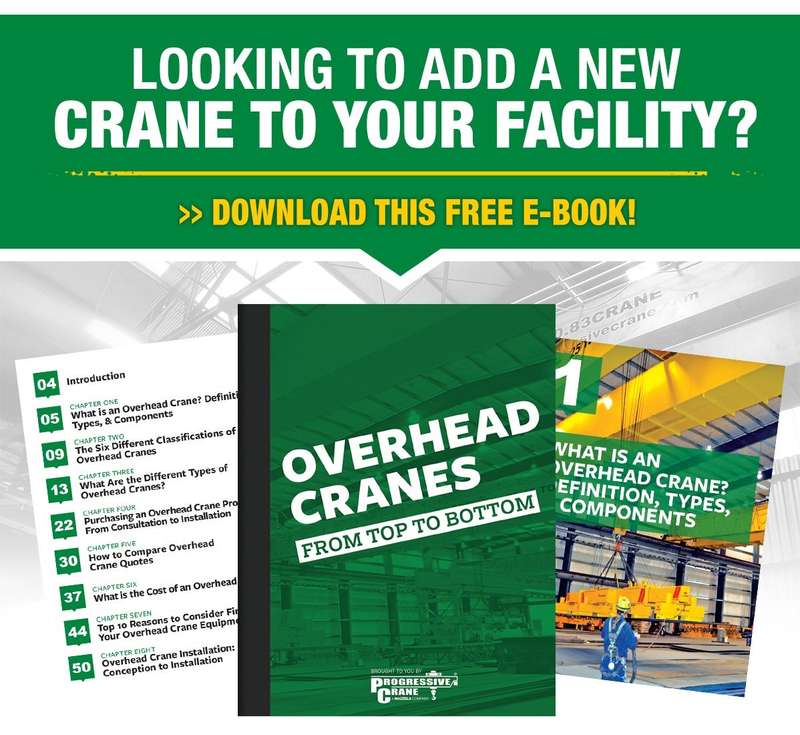 As proof of this, one of the most read blog articles on our website is Does OSHA Require a Hook with a Safety Latch for an Overhead Lift? Does this seem like a question that most veteran riggers would have an answer for? If you ask a veteran of the industry, you would get a multitude of answers. The point is, anyone can further educate themselves and pick up additional best practices from classroom or job site training—or at the very least, contribute to the conversation and help others on their team grow and learn. What Topics are Covered in Lifting and Rigging Training? 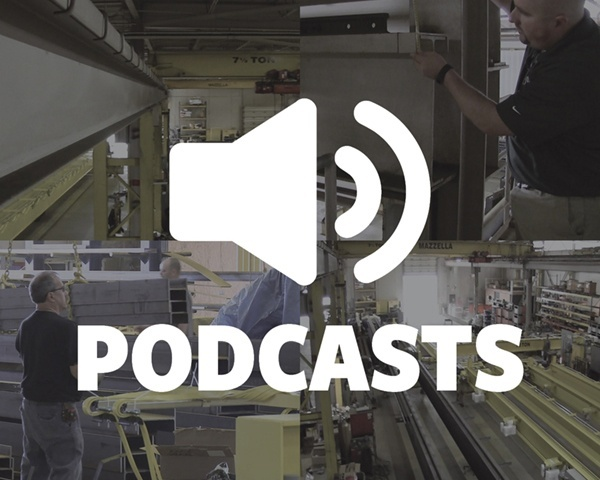 For this reason, our trainers spend time with the customer at the job site or in their manufacturing facilities to assess the practices and equipment they’re using to lift and move heavy loads. We then reference these practices in our training, so the end-user can tie these processes back to the often dry and carefully-worded standard for a better practical understanding. Our trainers often take examples of worn or damaged rigging equipment from the customer’s own facility. They then use this gear to demonstrate what to look for, and why it should be inspected, repaired, or taken out of service. This has tremendous impact on the end-user to have their own equipment and lifting practices intermingled with safe lifting and rigging training. In the past, we had a safe lifting and rigging class that covered all aspects of lifting and rigging. Over time, we realized that our training program was not adaptable to what the customer actually needed or wanted. For instance, why train a group of construction workers on best practices, safe operation, and the proper inspection of overhead cranes? This type of thinking led our training team to develop a series of à la carte lifting and rigging training modules. Essentially, training was broken out and structured into a series of topics our customers could select to customize the training to fit their needs. We also offer training in various lengths—from short training like tool box talks to more rigorous multi-day certified rigger programs. The bottom line is the OSHA/ASME standards are the frame work from which you train from, but making it applicable to the end user both in content and duration is the key to effective training. What Should I Look for in a Lifting and Rigging Trainer? Throughout the industry, there are a lot of people who know a lot about safe lifting and rigging practices, but not all of them are cut out to be trainers. Why? Because training is more than just reciting OSHA and ASME standards and walking an audience through a PowerPoint presentation. In order to be an effective trainer, you have to be able to relate to the customer’s environment and hold their attention—and that is a skill above and beyond just memorizing industry standards. Being an effective trainer is harder than you think. Each trainer has their own distinct style to keep the class engaged, as well as informed, on a subject matter that can be considered a bit dry. We often encounter safety professionals that are well informed and prepared in their training, but need to set up a large pot of coffee in the back of the room. They struggle to get through to their classes because their presentation skills and ability to hold the attention of the room are lacking. Think back to a challenging class you took in high school or college that you absolutely dreaded. Maybe the material itself was dense, difficult to understand, or just flat-out boring. Or, maybe the instructor was unprepared, or wasn’t able to present the information in a way that was engaging and relevant to their students. Now, think of a class in high school or college that you truly loved. More times than not, you’ll find that the reason you liked that class so much was because you had a great teacher or memorable instructor. You might remember their passion for the material they were teaching and how excited they were to share it with you. You may remember how they connected with you and your classmates on a personal level and encouraged active participation and discussion. Or, how they presented the information in way that was creative, dynamic, and relevant to you at that particular time in your life, so you didn’t feel like you were being “taught” to. At Mazzella Companies, our trainers are required to prove they know the material inside and out. But more importantly, they have to prove they can connect with the people in their classrooms—and engage with and hold the attention of their audience—before they’re allowed to lead any training with our customers. Why Do I Need Lifting and Rigging Training? The simple answer would be to educate your employees. But again, there is more to it than that. At Mazzella Companies, we strive to be lifelong learners. When we receive any type of training, Tony Mazzella, the CEO of Mazzella Companies, will ask the participants, “What was your biggest take away? What one thing will you change or do as a result of this training?” In other words…what action will you take or what change will you make, based on what you’ve learned? If training means nothing more than free donuts and time away from work, then it won’t be effective. Safety, liability, and conformance are important reasons for training, but if those employees being trained don’t act on what they have learned, how will you achieve those goals? If you take a step back and look at the big picture, it’s not about the certificate at the end of the training. It’s about the actions you take to ensure you and your co-workers create a safe lifting and rigging environment to work in. At Mazzella Companies, we have two “Top Trainer” award winners on staff and have a “Train the Trainer” program that allows these individuals to help educate, develop, and grow other trainers on our team. All Mazzella Companies trainers have been accredited through Industrial Training International and train to OSHA and ASME standards. If you require a specific training course for OSHA compliance for slings, hoists, overhead cranes, and/or rigging hardware, we can assist you in creating a safe and reliable workplace. We can even issue certificates following program completion. 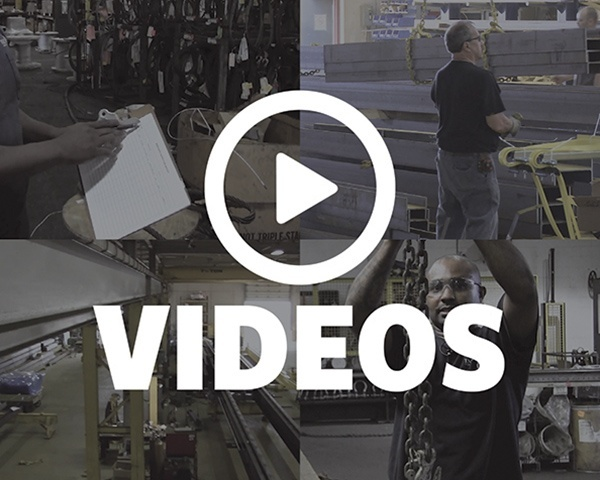 If you’re interested in learning more about our training modules, or want pricing on developing a lifting and rigging training program for your employees, contact us today! Previous Article Industrial LED Lighting Solutions: Is an LED Retrofit Right for your Facility?